I had gotten 2 of the full metal HQ cages a couple of months ago and I gotta say I really love them. Way much more than the 6 Critter nations Ive had in the past which fall apart, rust and wobble from the get go. These are much stronger and don't have plastic. My rats really chew a lot. Plus you can do all the fun stuff with this cage including add more levels or just do the one level. The company has my attention with the many full metal big cages they offer. Partially set up before all my stuff from Chewy came. Wow! Those are awesome! What are they? They're made by Exotic Nutrition. 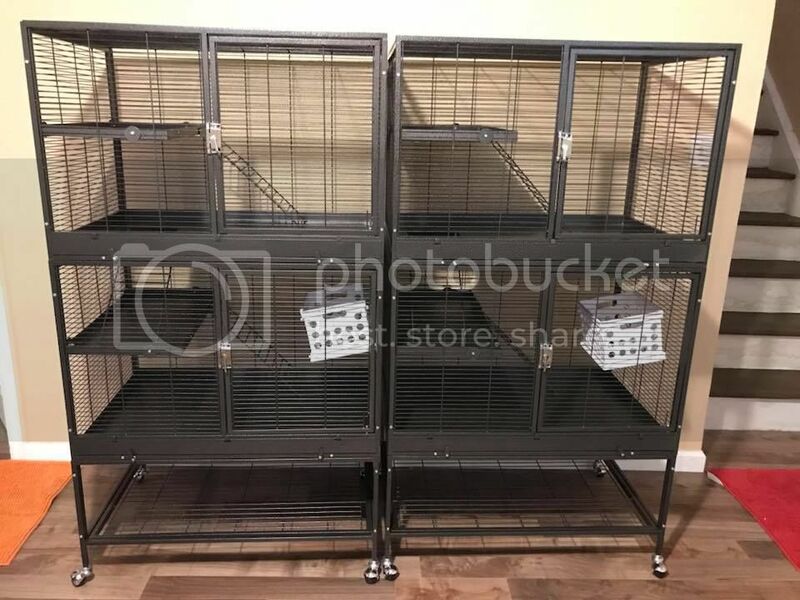 They're available in both a single and double unit just like the Critter Nation cages. 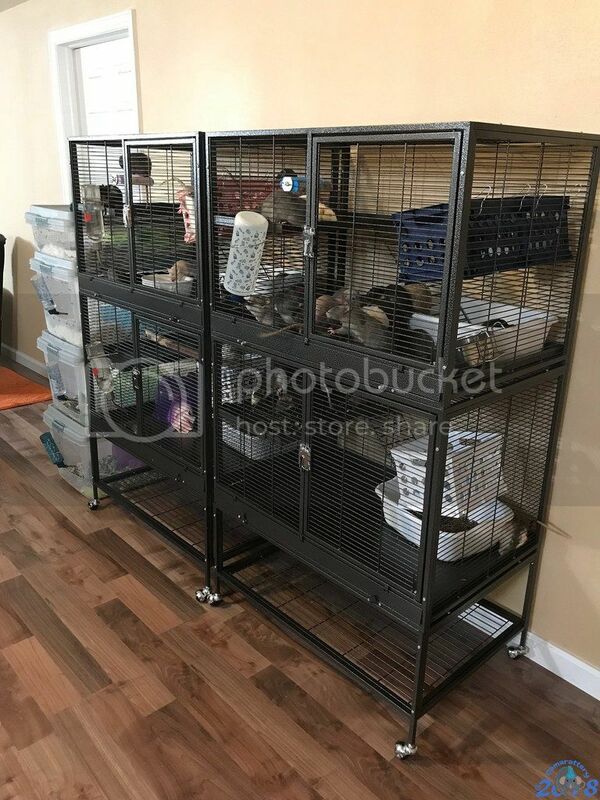 They're a couple inches smaller than the CN in each direction, have a single door that opens on each unit (like the Feisty Ferret), and have 1 1/4" deep, all metal, pull-out pans and 3/4" deep shelves instead of the shallow plastic CN trays. Those are so nice! My biggest complaint with the CNs is the plastic pan and how hard it is to use bedding.